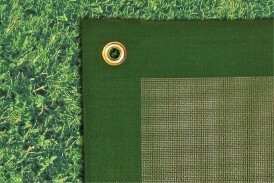 Protect your turf from wear and tear! 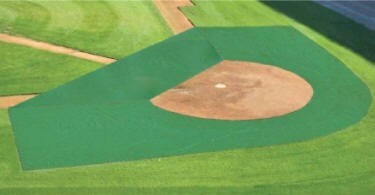 This premium ArmorMesh mesh field cover protects your infield from concentrated ball force during batting practice. Edges are reinforced with brass grommets. Protect your turf from wear and tear with the same material major league teams use! 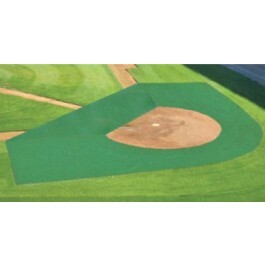 This premium ArmorMesh mesh field cover protects your infield from concentrated ball force during batting practice. Edges are reinforced with brass grommets.